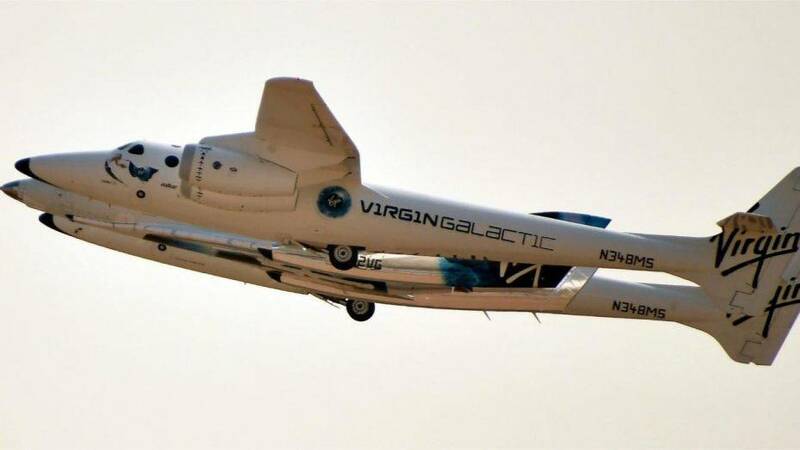 Richard Branson made a bold claim that his Virgin Galactic will send passengers to space by Christmas. Virgin Galactic is set to send its tourism rocket to the edge of space during a major test flight on Thursday. and thermal heating. We also plan to burn the rocket motor for durations which will see our pilots and spaceship reach space for the first time. " If successful, the test will be a major step toward the long-delayed dream of commercial space tourism. That differs from a long-held view that places the boundary at 62 miles. But Whitesides cited new research that favors the lower altitude and said that as a U.S. Company will use the U.S. standard. setback when the first experimental craft breaks apart during a 2014 test flight, killing the co-pilot. "It's a day that we've been waiting for a long time," Whitesides said. engine and climbs. The rocket is shut down and the craft coasts to the top of its climb - and then begins a descent slowed and stabilized by unique "feathering"
technology. The twin tails temporarily rotate upward to increase drag, then return to a normal flying configuration before the craft glides to a landing on a runway.